I’ve done some serious upgrading on my breech wardrobe in the last year. I’ve tried Kerrits, Montar, and SmartPak’s Piper line, but the best breech I’ve acquired is Horze’s Grand Prix knee patch breech. They’re the most durable and most comfortable breech I’ve ever owned. I picked mine up during a close-out sale last year for about $20; they’re an old model with Velcro closures at the ankle instead of svelte new elastic bottoms but are otherwise identical to the current model. They’re made from a tough fabric that’s thick enough to smooth lumps and bumps while offering enough stretch to be comfortable and form-fitting. The fabric practically repels dust and dirt; anything that doesn’t brush off immediately (like liquids) comes out in the wash. The Grand Prix breeches have a moderately high waist. There’s never any worry about them slipping down enough to reveal undies or cause a shirt to become untucked. On me, the crotch fits a little funny, but it’s fine in the saddle and isn’t inappropriate on the ground- just sort of unflattering. 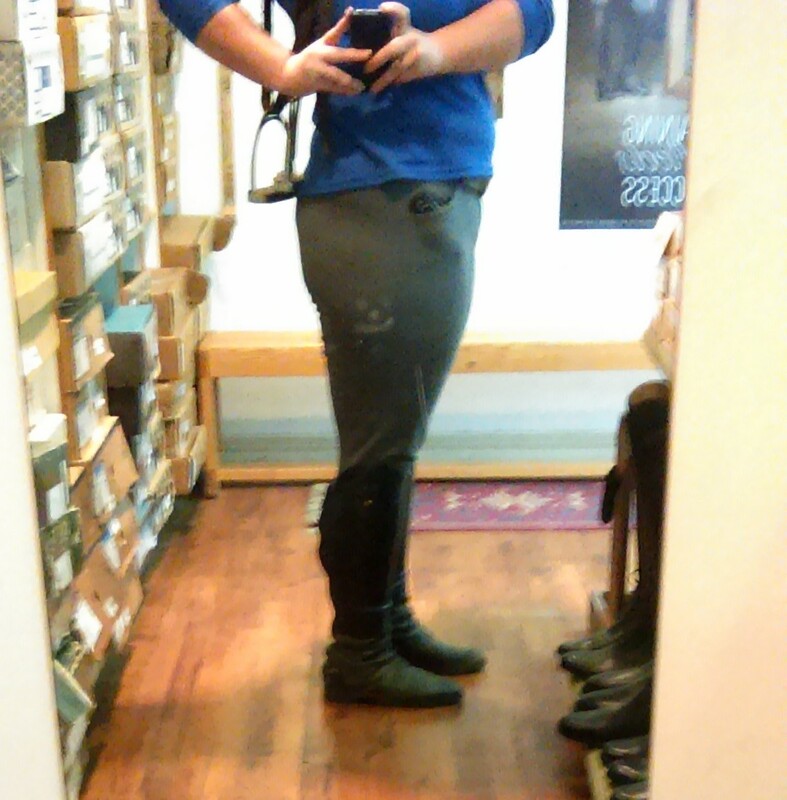 Even in a regular length, these breeches are plenty long. I’m 5’9 (although my legs are fairly stubby) and the regular length falls squarely at my ankle. Horze offers this style in a long length, too, for the leggy among us. 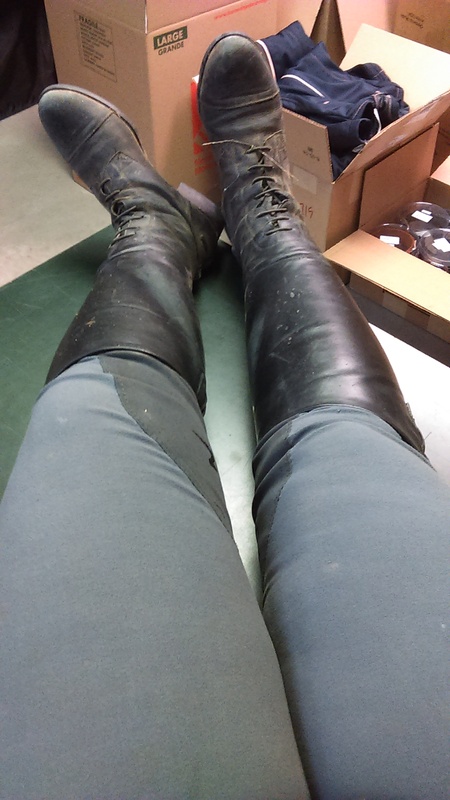 These breeches also have great front pockets- they’re big enough to hold a smartphone or a couple of horse treats. The euroseat styling is on-trend and mostly flattering, as is the wide waistband. Excellent for lounging around in shipping, as one does. The stitching is tight and flat throughout, and the zipper and hook closures are sturdy. Overall, they’re an extremely well made breech that’s hard-wearing and durable. They’re available in several colors appropriate for both schooling and show. My pair is steel gray, which is a pleasant medium gray color that matches every color of shirt I own. 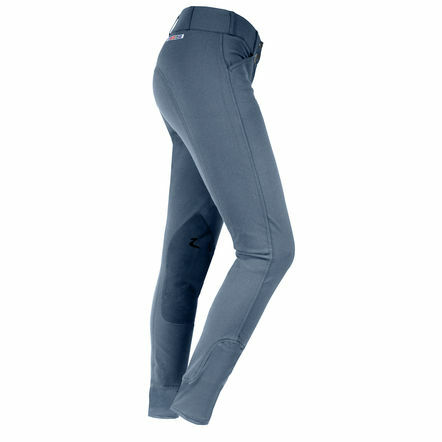 The Grand Prix breech has a size run of US 22-34 in both regular and long lengths. They run a little generous; if you’re between sizes, I’d recommend going down. With an MSRP of $112.95, I think they’re a good value, but if that’s out of your price range, just wait. Horze frequently has sales and offers coupons. 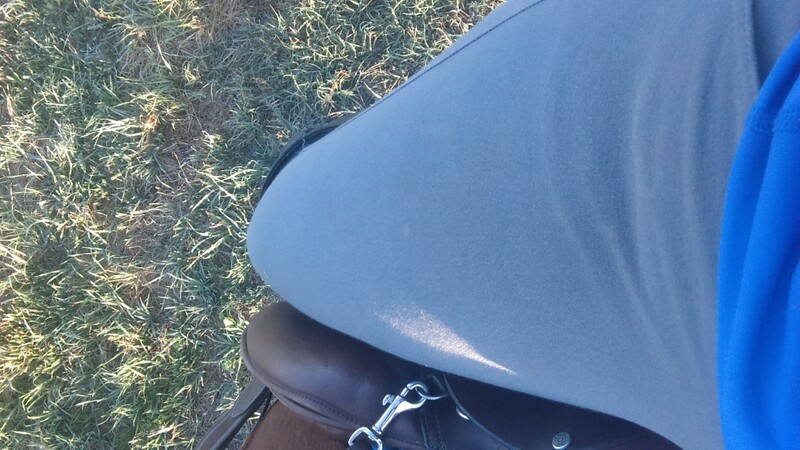 I love these breeches, and they’ve held up better than any other brand I own. You can bet that once my self-imposed spending moratorium is overturned, I’ll be adding more to my collection! Hmmmm I literally just decided against purchasing these during their columbus sale because I wasn’t certain about the branding. Oh well, next time! I got these on sale forever and ever ago and I wore them well past getting holes into the crotch I loved them so much. I’d definitely buy another pair on sale (because I’m cheap) in a heart beat. Thanks for the tip. They sound like good breeches. I might have to try these. oooh they look promising – and i love that gray color! Love the color on these! Now stalking my inbox waiting for a coupon or sale.